A company by the name of Affirm is looking to shake up the way consumers pay for high-ticket items they would normally just charge to a credit card. Instead of swiping or dipping, individuals can get real-time financing for purchases during the checkout process. For example, if a certain Millennial (I didn’t choose that age group arbitrarily) who eschews credit cards wants to buy a new couch for $1,000, but doesn’t have the cash on hand, they can finance it on the fly with Affirm. As long as the merchant accepts Affirm, you simply enter in some pertinent details regarding the transaction (and a little about yourself) and you’ll be presented with various financing options. 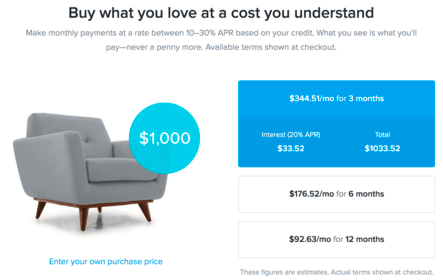 It will show you exactly how much you’ll pay to finance your new couch over the term you select. If you choose a shorter term, you will have to make a larger monthly payment, but you’ll save on interest. Conversely, if you want to stretch out the repayment period, monthly payments are more forgiving and total interest paid goes up. In any case, the choice of loan term is yours to make, which is a nice feature. And knowing exactly what you’ll pay seems to be the mission of Affirm. 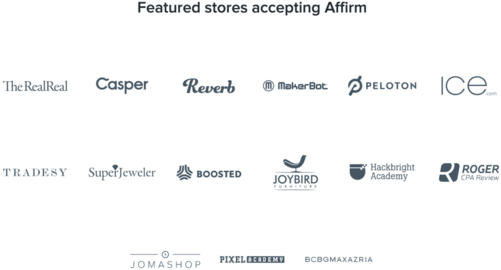 Affirm wants consumers who may be credit-averse to know exactly what they’re getting into, instead of just charging up some purchases that get muddled together and eventually wind up costing them much more than they bargained for. That means unlike most credit cards that are revolving in nature, and thus allow you to carry a balance indefinitely, Affirm is a fixed-rate loan with a set term and repayment schedule. You’re basically getting short-term loans for the larger purchases you make, instead of adding new purchases onto an existing credit card balance each month. Affirm says APRs range from as low as 10% to as high as 30%, based on your creditworthiness. That might be in line with prevalent credit card APRs, though it depends on the terms of the card and your borrowing profile. In short, the higher your credit score, the lower the interest rate, and vice versa. 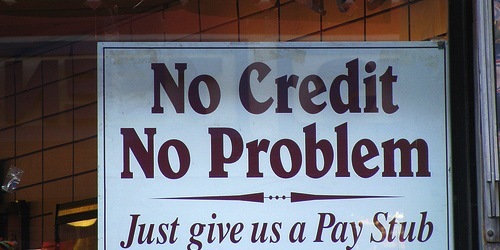 So even if you hate credit cards, you still need good credit if you want the most favorable terms. Is a 0% APR Credit Card a Better Deal? While you could stand to save some money with Affirm, one could also argue to just go the 0% APR credit card route instead. Sure, you could get into trouble if you’re not responsible with the open line of credit, but a 0% APR credit card that allows you to pay no interest for maybe 12 or 15 months would save you even more if you’re disciplined. In fact, you’d pay no interest whatsoever if you paid off the $1,000 couch during the introductory period. And you can earn bonuses on that spending. This is especially true if it’s a higher-priced item that makes you eligible for a lucrative opening bonus. To give you one such example, the Chase Freedom card pays out $150 if you spend $500 during the first three months. If you bought that $1,000 couch using the card, you’d earn the $150 and you’d get 0% APR for the first 15 months. You’d have more time to pay off the couch without any interest and you’d earn $150 on top of it. So your net cost would be $850, instead of some amount above $1,000. Again, you have to be a responsible spender, and Affirm might be serving customers who don’t trust themselves with a credit card.